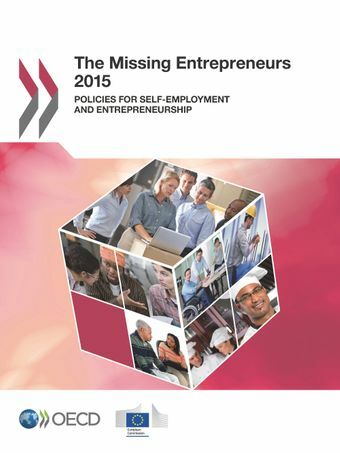 The Missing Entrepreneurs 2015 is the third edition in a series of annual reports that provide data and policy analysis on inclusive entrepreneurship. Inclusive entrepreneurship involves business start-up and self-employment activities that contribute to social inclusion as well as to economic growth, covering entrepreneurship activities by social groups such as youth, women, seniors, immigrants and the unemployed. The report contains data on the scale and scope of entrepreneurship and self-employment activities across EU Member States by social target groups, as well as the barriers they face. The report also contains special thematic chapters on supporting growth for entrepreneurs from disadvantaged and under-represented groups, effective coaching and mentoring, and the role of public procurement in supporting inclusive entrepreneurship. Each thematic chapter discusses current policy issues and challenges, and makes recommendations for EU policy makers. The report also provides inspiring policy-practice examples from each of the 28 EU Members. In 2014, there were 30.6 million self-employed people in the European Union. Of these, 24.5 million were women, youth (15-24 years old), seniors (50-64 years old), those who were unemployed in the previous year or were born outside of the European Union. Although this accounts for the majority of self-employment activities, people in these groups are often less likely to be involved in business creation and self-employment activities than the mainstream population (see Figure). They typically face different and greater barriers to business creation and to growing their business than those in the mainstream. People from these groups can be successful in entrepreneurship if given the right support. OECD is working with the European Commission, DG Employment and Social Affairs to examine the barriers faced to business creation and self-employment by people who are disadvantaged or under-represented in entrepreneurship activities - youth, seniors, the disabled, women, ethnic minorities, the unemployed and others - and the public policy actions that can promote ans support these activities.